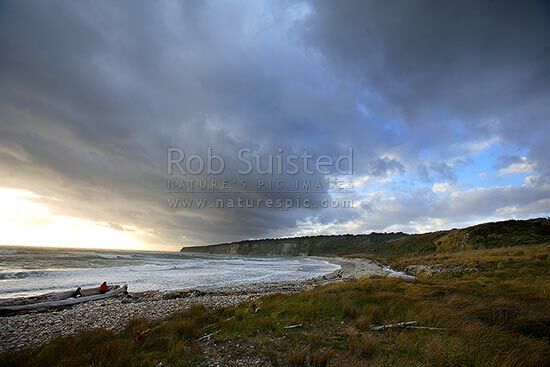 Dramatic evening clouds gathering over the remote southern Waitutu Coast. Sunset, dusk. Wairaurahiri River Mouth. People in distance, Waitutu Forest, Fiordland, Southland District, Southland Region, New Zealand (NZ), stock photo.